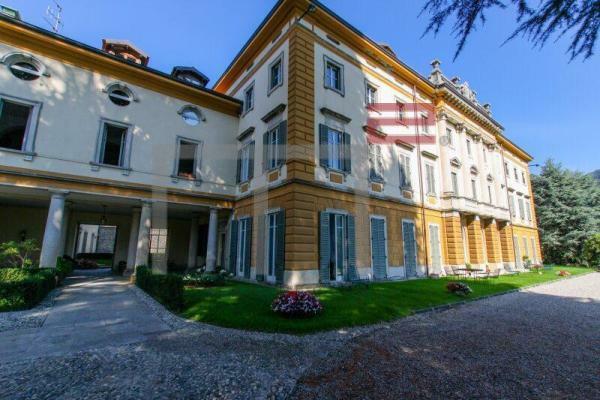 Lake Como, Laglio, incredible renovated penthouse in epoch villa. The apartment has 2 entrances, one with an exclusive elevator. Living room, dining room , kitchen, 2 bedrooms, 3 bathrooms , one of these with Jacuzzi. Second apartment (70 sqm) in the basement with: living, kitchenette, bedroom, bathroom. Lake Como, Griante. Large apartment to renovate in a building with few units. Entrance hall, large central access corridor, 2 living rooms, 2 kitchens, 4 bedrooms, 2 bathrooms. Storage room. Best Como Real Estate is at your disposal for further informations. Lake Lugano, Porlezza, new villa elegantly furnished, a few steps from the lake. Ground floor: entrance hall, storage room, living room with fireplace, sitting room, separate kitchen, bathroom. First floor: master bedroom with large terrace, second bedroom, studio with terrace, 2 bathrooms. The villa has high quality finishes and latest generation equipments.